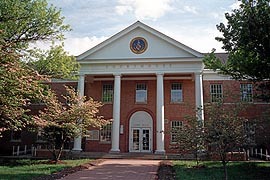 Office Location - The Register of Wills Office is located in the St. Mary's County Courthouse at 41605 Courthouse Drive in Leonardtown, Maryland. From I-695, take I-97 South to Route 3 South to Route 301 South. From Route 301 South take Route 4 Southeast (toward Prince Frederick and Solomon's Island). Continue on Route 4, cross over the Thomas Johnson Bridge, go 4 miles to Rt. 235. At the Intersections of Rts. 4 and 235 turn right on Rt. 235. At the Intersections of Rt. 235 and Rt. 245 in Hollywood, turn left on Rt. 245. Approximately 5 miles to Leonardtown. Go straight through the traffic light. It will turn into Washington Street. Travel approximately 1/2 mile. Make a left onto Courthouse Drive. The Courthouse is located on the right. Alternate Route: At the Intersections of Rts. 4 and 235, stay on Rt. 4, go seven miles to the junction of Rt. 5. Turn right on Rt. 5. Approximately one mile at the Intersections of Rt. 5 and Rt. 245, turn left at the traffic light. It will turn into Washington Street. Travel approximately 1/2 mile. Make a left onto Courthouse Drive. The Courthouse is located on the right. From I-495/I-95 North, cross the Woodrow Wilson Bridge into Maryland. Take 1st exit, Indian Head Highway/Rt. 210 South. Make left on Rt. 228 toward Waldorf. Rt. 228 becomes Rt. 5 after crossing Rt. 301 in Waldorf. Follow Rt. 5 to Rt. 235. Stay on Rt. 235 to the Intersections of Rt. 235 and Rt. 245 in Hollywood.Turn right on Rt. 245. Approximately 5 miles to Leonardtown. Go straight through the traffic light. It will turn into Washington Street. Travel approximately 1/2 mile. Make a left onto Courthouse Drive. 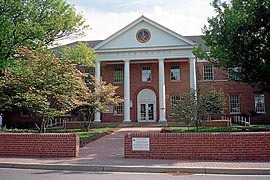 The Courthouse is located on the right. From I-95 South, Exit 7A to Branch Avenue to Rt. 5 South. North of Waldorf, Rt. 5 joins Rt. 301. After approximately 2 miles, follow Rt. 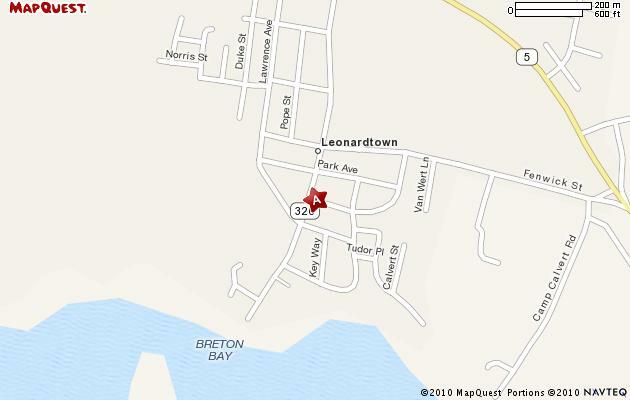 5 bypass signs toward Leonardtown. Follow Rt. 5 to Rt. 235. Follow directions as above from Rt. 235.